Filthy, dirty tiles pose not only health issues but are also a cause of embarrassment for the housewives. To keep the shower tiles clean and shinning women keep on searching for new and more effective ways of cleaning the tiles with minimum effort and maximum results. This is because cleaning filthy tiles is not an easy task; scrubbing tiles with brushes or shower scrubber causes pain in hands, arms, and shoulders. Either, after scrubbing the tiles, you will have to suffer the pain for two or three days or you will have to go for the painkiller. It also demands more time. This way, unclean and dirty tiles have always kept the women in constant worry and in search of newer ways to keep the tiles clean. Following are 6 best possible and pragmatic ways to clean the shower tiles without scrubbing. 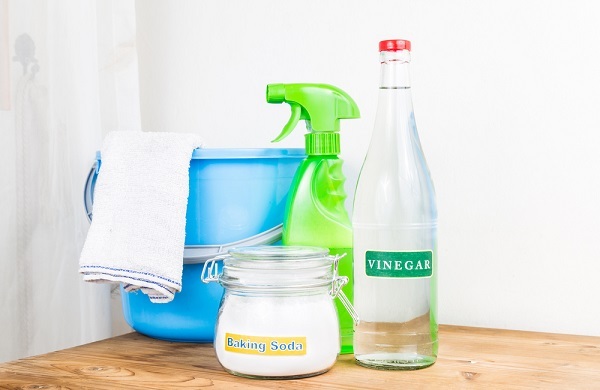 Take a cup of vinegar and pour it into a clean spray bottle. 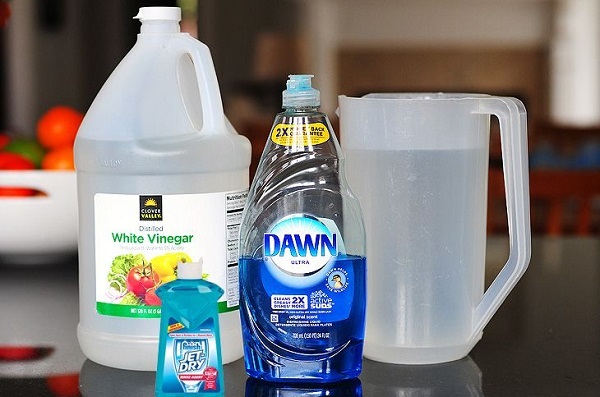 Then take a cup of dish detergent in liquid form; pour it too into the spray bottle and mix the ingredients well. That is all. Your problem is solved as this mixture will clean and sparkle your tiles. Spray the mixture on tiles and let it sit for an hour for better results. After an hour wipe away all the filth and wash the tiles with water. Baking soda is no less effective as for as the matter of cleaning tiles is concerned. It also gives the best results with no effort at all. Spread baking soda on tiles and especially on the grout and then sprinkle a little amount of vinegar over it. Leave it for an hour and let the chemical reaction go on. After an hour, you will be surprised to see the shine over after wiping and rinsing the tiles. Salt is also a very good detergent regarding tiles cleaning as it dehydrates the unicellular animals. To clean the tiles with salt rinse the tiles first and then spread a sufficient amount of salt. Leave the salt over the tiles for a night, wipe, and rinse in the morning. It will also give good results, however; it is less effective as compared to the solutions as mentioned above. Borax is highly alkaline in nature. Its PH is 9.3. This is why it has cleaning abilities. Hydrogen peroxide to works well when all the solutions are failed. So, if you want to have more cleaned toilet then use these two chemicals respectively. 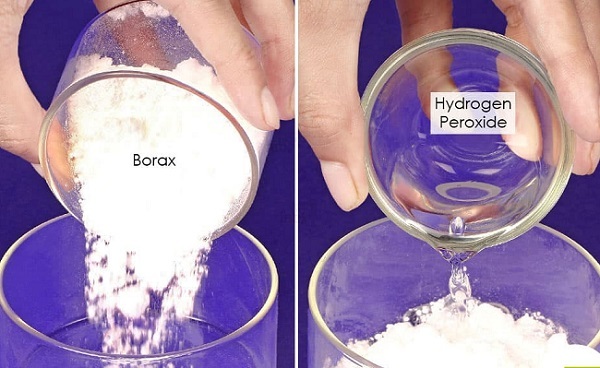 First spread the borax on wet tiles for 4 – 5 hours; then after wiping the borax spread hydrogen peroxide for 2 hours. Later on, after 2 hours wait and rinse the tiles with warm water. You will get gain with about no pain. Lemon juice is called a beautifying agent. It makes the human skin fair by enlightening all the dark spots and dark skin. Its action is no different when comes the matter of tiles. It is very acidic in nature just like vinegar so leaves no space for any dirt on the tiles. 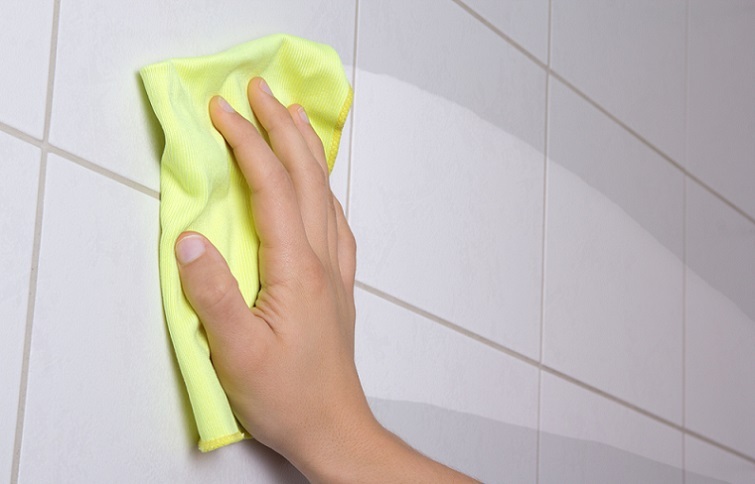 Spread lemon juice on stubborn spots on tiles and leave it for two hours. After this much time wipe and rinse the shower tiles. There would be no need to scrub the tiles. Cleaning tiles with steam cleaners also do not require any effort and time. You will not need to scrub the tiles. Just you need a steam cleaner that produces very high temperature and pressure to clean. However, it is not suitable for every kind of tile. All of these are no doubt practical, and effective solutions for tiles cleaning. If these ways are adapted to clean the shower tiles, you will definitely save your precious time as well as very little effort would be needed. However, this fact also is kept in mind that every kind of chemical or detergent may not suit every kind of tile. So, it is better than first the suitability of these methods should be checked to achieve good results.